Budapest is the capital city of Hungary. It's a fun place to visit with an interesting culture, a vibrant nightlife, and an impressive music scene. There are many great hostels around the city as well. In addition to the more traditional hostel settings, you can also find small apartments that have been converted to hostels. These typically have a more personal and intimate feel, and make a great option for travelers who want a quiet and more relaxed setting. A great hostel for couples and small groups of friends. Avail Hostel is an affordable and comfortable place to stay in the city center of Budapest. It's located about a minutes walk from the subway and is just two minutes from the Danube. This is a great option for small groups of friends or couples who want to stay at a calm and quiet hostel. There is a kitchen available that guests can use and free wi-fi is also available throughout the building. The staff speak English and are very helpful with any questions you might have. They know the city well and can recommend the best restaurants, bars, or entertainment venues. This is not a party hostel and the staff ensure that all guests remain quiet and respectful during the night hours. If you want to get a good nights sleep after a busy day exploring the city, then this is a good hostel for you. This hostel feels more like a series of small apartments than an actual hostel. There are single, double, three bed, and four bed apartments and rooms available. There is plenty of space and privacy so this is a comfortable and affordable place to stay in the heart of the city. Lavender Circus Hostel feels a bit like an apartment in the heart of Budapest. It's a quiet hostel with a cozy and welcoming atmosphere. It's located in a historic building that dates back to the late 19th century and there are double and two bed apartments available. There's also a community room where you can meet other guests and a kitchen where you can prepare your own meals. The staff regularly host Hungarian dinner parties in the lounge area. This is a great opportunity to try Hungarian palinka and local wine. If you're looking for a centrally located hostel that is comfortable and welcoming, then this is a great option. It's a quiet and secure place to stay where you can enjoy meeting other travelers but also sleep soundly at night. The location and atmosphere is great and the furnishings are unique and add character to the building. A good hostel for female and solo travellers. Fifth Hostel is another good option if you're looking for a relaxing and mellow hostel that has a family-like atmosphere. The staff are wonderful and go out of their way to make sure everyone has an excellent experience here. Fifth Hostel is centrally located near one of the largest city squares. It's also just a three minute walk from a metro and bus station and most of the city's top tourist attractions can be reached in less than a thirty minute walk. In the surrounding area you'll find great restaurants, bars, and pubs. This hostel has a full kitchen that guests can use, a nice common area where guests can watch television, and washing facilities for clothes. There are dorms available that sleep four or eight people and female only rooms are available. A good hostel for couples and small groups of friends. Downtown Oasis is located in the heart of downtown Budapest. It makes a great retreat for tired travelers after a busy day exploring the city. The hostel has a very intimate atmosphere and you'll quickly feel right at home here. It's in a recently renovated building and it's a small hostel that is perfect for budget travelers and backpackers. The hostel is in an interesting neighborhood that is filled with historic buildings. It's a fun place to explore and offers a great perspective on the city. 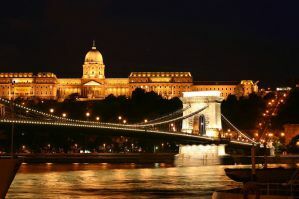 It's also walking distance to many of Budapest's top sights and attractions. The staff here are friendly and helpful and they can answer any questions you might have. The hostel also has free internet access, wi-fi throughout the building, a full kitchen, laundry service, and travel information for guests. There are double rooms as well as three and four bed private rooms available.